The comments, posts, threads and material on this websites are NOT to be taken as legal advice. Anyone facing foreclosure should seek the counsel of an attorney and or an accountant. ALWAYS obtain a second and third opinion on your particular situation from a trusted source. •The comments by us and the materials available at this web site are for informational purposes only and not for the purpose of providing legal advice. 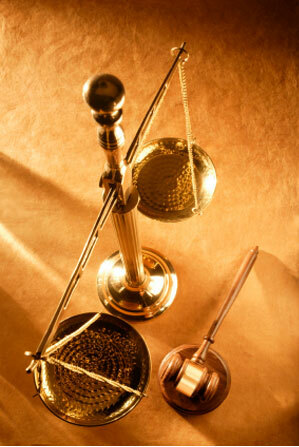 •You should contact your attorney to obtain advice with respect to any particular issue or problem. •The opinions expressed at or through this site are the opinions of the individual author and may not reflect the opinions of our employers, other ventures or any individual attorney. •No advice or information, whether oral or written, obtained by you or through or from this website/blog shall create any kind of promise or business relationship. •The views and opinions on this website are likely to change over time, we like to keep an open mind and thoughts and opinions stated on out-of-date posts may change over a period of time and may not hold true for the present. •You are expected to do your own due diligence and seek advice from other sources such as an attorney. •Do not hold us to what we say or recommend as this is only for providing you with non-legal advice and non-legal support. While we do strive to confirm all information presented here and qualify all doubtful items, the information on this site is neither definitive nor should it be construed as professional advice. It is a community site that depends on community feedback. Factual or alleged factual information presented here does not originate from BH-LA.com and all commentary is purely the opinion of the author(s) of this site, unless otherwise quoted from other sources. You should consult a finance professional before making any decisions based on information found at this site. As we continue to improve and expand our services, we recognize that visitors to our website need and desire to preserve their privacy and confidentiality. Safeguarding our members and the visitor’s privacy is also very important to us. We have adopted standards that help maintain and preserve the confidentiality of visitors and member’s nonpublic personal information. The following statement affirms our continued efforts to safeguard customer information. This advertising material on this web site is only for informational purposes. This web site does not contain or constitute legal advice. No attorney-client relationship is established by virtue of your visiting this web site. The information contained in this web site is not provided in the course of any attorney-client relationship and is not intended to substitute for legal advice from an attorney licensed in your jurisdiction. We will delete all communications of this nature AND WE WILL NOT RESPOND. The information contained in this web site is provided only as general information, which may or may not reflect the most current legal developments.